The Studio Museum in Harlem is proud to present the first solo U.S. museum exhibition of the work of London-based artist Hurvin Anderson. 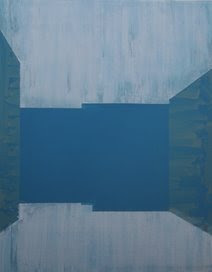 Born in 1965 in Birmingham, United Kingdom to parents of Jamaican descent, Anderson engages the formal traditions of landscape painting and abstraction. 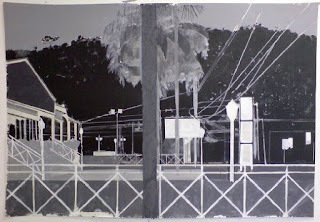 Through his paintings, he explores his own relationship to the Caribbean through depictions of complex, personal spaces and memory. 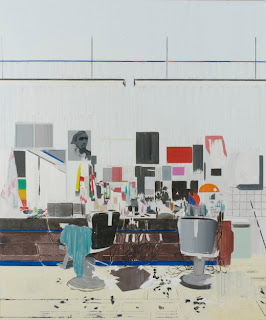 Continuing Anderson’s fascination with and exploration of places imbued with social history, meaning and memory, Hurvin Anderson: Peter’s Series 2007-2009 presents seven paintings and nine works on paper. 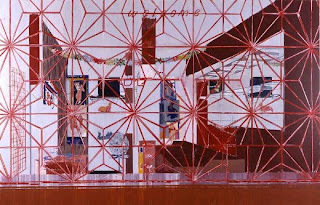 These works re-imagine spaces created by Caribbean immigrants during the 1950s and 1960s. At that time, barbershops and other places for personal services often were opened in people’s homes and functioned as sites for both social gatherings and economic enterprise. These shop owners and their customers were among a significant wave of immigrants to the United Kingdom from the Caribbean Commonwealth countries after World War II. The barbershop was not only a place to get a haircut, but also a social space in which to meet and talk with one’s friends and neighbors. For Anderson, the barbershop functions as a personal space loaded with imagery, and also houses intertwined political, economic and social histories. 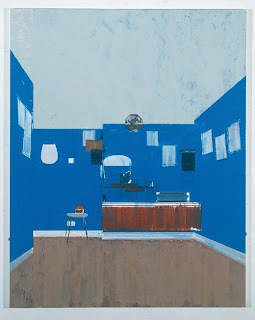 “Peter’s Series” takes as its subject one of the last-known of these spaces—a small attic that was converted into a barbershop where the artist’s father went for haircuts. Finding the space both complex and ambiguous, Anderson explored the technical exercise of recreating it many times. At first intrigued by the physical features of the attic, Anderson focused on the architecture of the room in early paintings, providing multiple perspectives of the space, like a series of portraits. Working from photographs, memory and imagination, Anderson painted and repainted the space, and even repainted a painting of it, continually reducing the interior architecture to its basic colors and simple geometric forms. 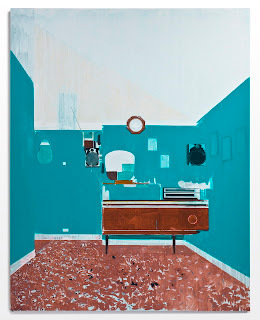 In later paintings, he centralizes an anonymous figure in the barber’s chair, further negotiating between functional space and shared experience, while also providing a voyeuristic glimpse of a private moment. Anderson studied at the Wimbledon College of Art and the Royal College of Art in the United Kingdom. 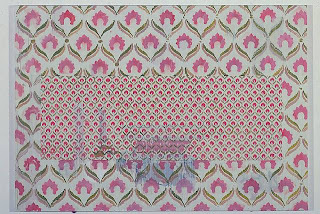 His first solo gallery show was in 2003 and in 2006 he was the artist in residence at Dulwich Picture Gallery in London. Earlier this year, Anderson had his first solo museum show at the Tate Britain.